Kim Jong-Un overlooking Baekdu. It is said that his grandfather was born on the slopes of the volcano. There is a weird beauty to the blueprints for the Tsar Bomba design by Babayev-Sacharov-Trutnev. Never before, nor after, have a bomb reached that level of engineering perfection. It is to date both the largest, and the cleanest, nuclear device detonated. Compared to the inherently flawed Ulam-Teller design and its derivatives used by the US, the Soviet nuclear bombs are marvels of consistency in brisance and behaviour. And however weird it may sound, safer to be in the vicinity of when they go off, due to the comparatively low fallout. Anyway, this article is about nuclear bombs and their effect on nearby volcanoes, not about the bombs themselves. The reason for this article is fairly obvious, since the Kims of North Korea is as enamoured with their nukes as Dr Strangelove was, and the vicinity to Mount Baekdu. The initial fire ball of the RDS-220 Tsar Bomba. The reason I am starting off with the 51 megaton Tsar Bomba is that it will be used as a counterpoint to North Koreas latest 130 kiloton (+/-20 kiloton) based on the Soviet RDS-6 design. It is quite likely that the North Korean design is based on the Sacharov design due to the low amount of detectable radiation. The original question we got was if the nuclear testing at Punggye-ri could trigger an eruption at Baekdu. But, I will try to go a bit further than that in this article and widen the scope to include the geology of the Punggye-ri itself as it sits under Mount Mantap. But let us start with the age old question of large earthquakes causing volcanoes to erupt since the nuclear device caused a M6.3 earthquake. Baekdu photographed from Tianchi. Photograph from Wikimedia Commons. There is to date no instance where an earthquake is proven to have caused a volcanic eruption. The only likely suspect is the earthquake in Quetzaltenango in Guatemala that occurred on the 18th of April 1902 after a 3 month long earthquake swarm. This swarm continued afterwards up until the 24th of October when Gagxanul (Santa Maria) erupted. For more than 100 years this was seen as an example from the classic foreshock-mainshock-aftershock meme. A more modern approach is to view the entire swarm as volcano-tectonic caused by rapidly intruding magma from depth moving into the volcanic system, that in turn caused a large tectonic earthquake of M7.5 on the moment magnitude scale. So, in the modern interpretation it is the other way around. The volcanic pre-cursor activity caused the tectonic release. The same happened at the Amatitlán Caldera as a magmatic intrusion caused a seismic swarm that weakened the faultlines surrounding Guatemala City. The problem with this idea of large earthquakes causing eruptions is that large earthquakes tend to happen near or in areas where there are an abundance of volcanoes. So, quite often there will be an eruption within a year after a large earthquake. But, from pure statistics we know that at these places it is so common with eruptions that one is almost bound to happen within any random year without any large earthquake occurring. There are after all at least an order of magnitude more eruptions than there are large earthquakes on the planet. That being said, if there is a large earthquake above M8 occurring within 100km from a volcano that is teetering on the brink of an eruption it could set off the eruption prematurely. But, it is good to remember that we are talking about days or weeks prematurely at best, and that the volcano would have erupted anyway. The only difference is that the eruption is likely to be a tad less powerful since it did not have time to mature fully. The same goes for premature volcanoes as for premature born children, they tend to be smaller than if they had gone the full 9 months. The Tsar Bomba being inspected prior to the detonation. Against popular belief and modern media hype there is nothing much pointing towards Baekdu being near an eruption. 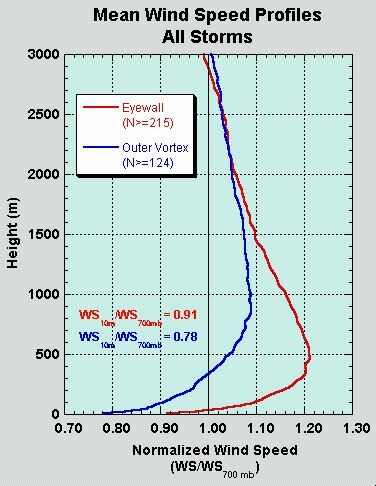 Yes, it did inflate between 2002 and 2003 according to the Global Volcanism Program and again between 2005 and 2008 according to Chinese volcanologists, but volcanoes tend to have many intrusive episodes between eruptions, and there are no current signs of an eruption being close at hand. At least not so close that we can say that it is teetering on the brink of an eruption. The second thing to remember is that the 946AD eruption utterly destroyed the magma chamber under the mountain. And large magma reservoirs take their own sweet time to build up again. And there are no signs that Mount Baekdu has rebuilt sufficiently for another large eruption, the evidence at hand is in fact quite contrary. First of all, we know that there is a 5000 year span between the 4105BP (+/-90) Tianwenfeng eruption (VEI-7) and the VEI-7 946AD eruption. This gives us a timeframe for a possible rebuilding phase, and we are as such at the early stages of rebuilding. We have further evidence for this from the volcanic records of the volcano. Prior to the 946AD eruption the size of the average eruption was VEI-4, but the eruptions after have all been VEI-2 at best. So, even if Baekdu was teetering on the brink of an eruption, and a large earthquake occurred next to it, there would be a bit of ash sprinkled in the vicinity of the volcano. So, even in a worst-case scenario it is not the doom and gloom that people dream up. Baekdu in the winter with the Heavenly Lake frozen over. Photograph from Wikimedia Commons. Let us start off with the distance between Mount Baekdu and Punggye-ri. The nuclear test site is located 114 kilometers southeast of Mount Baekdu, so we would need a sizeable earthquake to theoretically set off an eruption. And the North Korean man-made M6.3 is not even by a longshot large enough to do anything untoward. The North Korean bomb used in the latest test was utilizing a fusion doping stage and was not a true hydrogen fusion bomb, presumably it was of the Sacharov RDS-6 design, since the blueprints are readily available and on hand by pretty much every nuclear interested country on the planet. As such it is at least 3 design steps away from the Tsar Bomba. And here is the reason I am using the Tsar Bomba as an example, it is the only detonated nuclear device able to produce an earthquake larger than M8. To be specific, it would if it was detonated below the surface produce an M8.35 earthquake on the moment magnitude scale. At best the North Koreans could produce something like it in a decade. But, here is the next point. They will never do it. Why now? Well, first of all, The Tsar Bomba is in itself the largest joke in the history of mankind since it is unusable, and if you are not having the entire Soviet Hinterlands to test it, it is also untestable. If Kim decided to test it underground he would produce a VEI-6 radioactive caldera about 5 kilometres in diameter. In the process he would make half of his country uninhabitable. An aerial test would be even worse. The fireball of the Tsar Bomba was 10 km in radius and the foot of the mushroom cloud was 40km wide. Everything 100km out from the detonation would be a total loss and all building 250 kilometres out would be damaged with a high rate of dead people. In other words, his country would be gone from right under his pudgy little basketball-playing feet. Instead he is far more likely to go for the standard 700 kiloton nuclear device, based on the Soviet RDS-37 design, that is the current favourite to place on an intercontinental missile. Or, try to build nuclear devices that are purpose-built for creating electro-magnetic pulse-fields (EMP-weapons). The rationale for that is that any viable enemy of his is relying heavily on electronics on the battle-field, and his troops are in the electronic stone-age, thus levelling the playfield to his advantage. But let us say that Kim is nuts enough to blow away his own country just to set off Baekdu, then it would be theoretically possible via using a Tsar Bomba at Punggye-ri. So, let us strike out the idea of a North Korean nuclear device causing a volcanic eruption, and let instead look at the real geologic threat. Tsar Bomba photographed from the plane that dropped the bomb. There are two reasons that the Chinese are ever more miffed at Kim and will sooner or later do something about his nuttery. The first reason is that Kim is trolling the Chinese by either launching a missile, or detonating a nuke, every time that the Chinese President Xi Jinping holds an important speech. I guess that places Trumps relative importance a bit aback. The second reason is that China has a veritable army of geologists, seismologists and geophysicists that are every bit as good as their western counterparts, and they are very well funded and well equipped. And it is their discovery that will force the Chinese to take action. What they found was that two M5 earthquakes happened at the same place as the latest nuclear test within 8 minutes after the detonation. This is caused by the little-known fact that a nuclear underground detonation causes a cavity to form below ground, and since the North Koreans have been using the same site for all of their nuclear tests there are now 5 cavities of ever increasing size. The Chinese scientists have now concluded that the entire site is geologically unstable and that the mountain is likely to collapse releasing all the pent up radioactive material. But, as of now we do not know the timescale it would take for the collapse to occur. 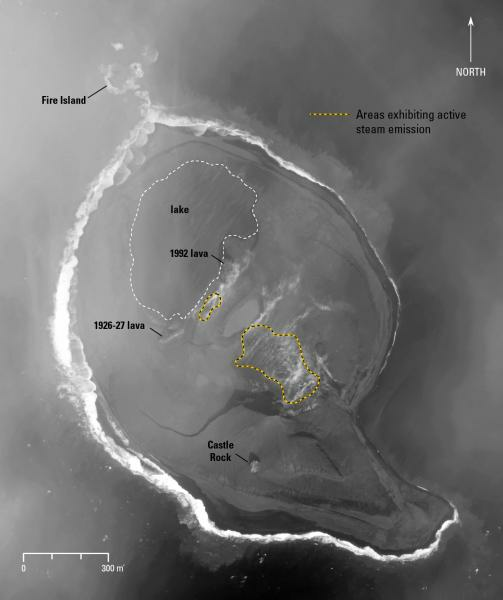 But, it is believed by the Chinese scientists that a sixth nuclear test at this site would cause an imminent collapse. It may sound like this is a good joke on Kim and the North Koreans, but a collapse of the test site would be affecting both the South Koreans and the Chinese populations directly. Footnote: This article is skirting the boundaries of the rules of Volcanocafé since we try to stay away from politics. But, I felt that this time there was no way to stay away from it due to the location of the volcano at hand. I would though like to implore people to keep the comments as un-political as possible and to stay civil. True. And if that doesn’t frighten you, nothing will. That they are perfectly prepared to do THAT to the nearest thing they have to a friend on the entire planet is seriously scary. Perhaps more than anything else this makes me start to seriously suspect that North Korea may well mean every single thing they say and intend to do. They’re starting to look like they may be the geopolitical equivalent of a mass shooter; determined to go out with a bang, taking as many as possible with them. It’s a terrifying scenario. North Korea are trying to develop their own radioactive Gojira. Although volcanocafe should stay outside of politics and use only “politically correct” words, I like the topic atomic bomb and seismology. Found very interesting this subject. This point of view (“seismologic – of course”) are not often/publicly express or well known in the public. Do you know wherer Kim has spent part of his youth? It seems to me Kim was educated in Switzerland …. First i`d like to apologize for my bad inglish . thankyou all for keeping this amasing bloog ongoing and for sharing the wisdom and the knowledge you have. i ve learn a lot with you all in the last 2 years and the sharing in this bloog is a human face not usual,unfortunately, in our days. one alarming trend: The most volcanism that is going in the world at present is in regions that have only recently lost their glacier covering Theory suggests that this is occurring because, without ice sheets on top of them, there is a release of pressure on the regions’ volcanoes and they become more active. A polynya is an area of open water surrounded by sea ice. It is now used as geographical term for an area of unfrozen sea within the ice pack. 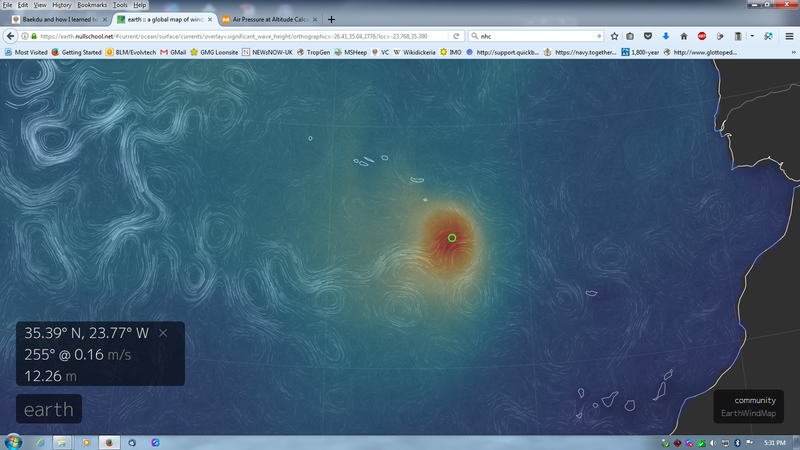 i remember to see something about volcanos hotspots under this antarctica area. The Maud Rise polynya is explained on this page from the NSIDC http://nsidc.org/arcticseaicenews/2017/09/arctic-sea-ice-at-minimum-extent-2/ towards the end. They mainly focus on the Arctic, understandably. It looks to me to be around the location of the Maud Seamount. If the seamount has erupted, the hole in the ice could be volcano related. If _only_ Maude Rise is responsible for it, shouldn`t the polynia be permanent? is there any volcano activity data for this area that can co-relate the events? I was going to say, that this was rather far from regular VC content, but your footnote saved it. Anyways though, what sort of earthquake size are we looking at if those underground chambers all collapse in one go? I do not think that it is one, but I will have a look later on tomorrow. And if it was one it would be down into the 1kt size, more like a dud than a bomb. Problem I have with it being a dud is that once you have mastered building an RDS-6 nuke you can build as many as you wish and they will most assuredly not go “dud”. Darwin already wrote about the link between earthquakes and eruptions. He was in Chile (on the Beagle) during an M8 earthquake, and notes that four volcanoes erupted in the days after the earthquake. Two lessons: (1) It takes a major earthquake to trigger a volcano; (2) There is no indication that these were large eruptions. A good shake can clearly trigger a phreatic explosion, as that is a surface event, but in all likelihood it will be small (as most phreatic events are small). It can destabilise a flank, but only if it is already close to failing. So yes, big earthquakes can impact volcanoes, but the consequent eruption will either be small or was on te cards already anyway. My sentiment is that nothing has of now been proven, but that there is enough circumstantial evidence that large tectonic events may trigger eruptions. 1. Either as small phreatic detonations like Darwin wrote about. 2. Real eruptions that are either small to moderate if a volcano is near the brink of eruption. 3. Or longterm eruptive effects if new conduits are produced by the seismicity. This is obviously something that needs to be studied and something that we will know more about in the decades to come. On the flip side, can large quakes END an eruption? I am not aware of such a case, but as eruptions do not normally last that long, the chance of a large quake coinciding with an on-going eruption is not that high, so this might be a matter of chance. Eruptions end when the pressure drops below a critical value. Shaking does not reduce pressure, but it may increase the critical pressure, for instance a landslide burying the outlet or conduit. But let’s rephrase the question: could a well-targeted explosion be used to close off an open volcanic conduit? Can we put that spare bomb to good use? I seriously doubt it would be possible to build a nuke sturdy enough to be deployed at depth. And a nuke big enough to close off a conduit at depth from the surface would be worse than the eruption itself. That being said, if you are dead certain that a very large eruption is coming that could alter climate for years, and that is suitably far away from people, it could be an idea to break the lid with a nuke to release the pressure beforehand with a smaller eruption. Uturunku could be such a place. But, one would almost have to be dead certain that a VEI-8 is around the corner before an attempt should be made. And we do not know of any such volcano at this moment. And, I am uncomfortable with even discussing it, since we do not know even half of what we would need to know before doing it. Seen it for a while. Think it calls of the idea of “summerquakes” due to melt in thise area..
No comment. Rule 1 applies. But it was quite vociferous and stated opinion rather than actual fact. Technically, it is self redacted since no moderators other than myself know the content of what I did not state. Hi Motsfo! No worries. Chernobyl comes to mind, bad for the immediate environment but manageable far away. Albeit, agriculture had restriction even in some areas in the UK for many years. Alaska is far from mister Kim and there is a lot of rain between him and you – rain rains the dust out. I can’t comment on the global risk from some fairly infantile questionable politically incorrect behaviour. In anycase, (either volcanic or idiot driven), a good place to get a feel for the winds is here. The effect in your neck of the woods would be negligible, and is not a reason for concern. In general I am in favor of not being hit by any nuclear device, regardless of origin. I was merely pointing out that the old Soviet bombs were cleaner than their flawed American counterparts. There are several anecdotal examples of volcanic eruptions following major earthquakes nearby. The best is the eruption of Cordón Caulle in Chile, less than 2 days after the massive M9.4 earthquake, in 1960. I read one or two more examples, but can´t remember them now. In Iceland, we have one good example in 1996. Gjálp fissure erupted after a M5.5 in Bardarbunga. Hekla also seems to erupt shortly before or after major seismic episodes in SISZ, and it makes sense as the volcano is located in the far end of that seismic region. Ref the pre-Gjálp quake. That one was evaluated as having a “non double couple” characteristic. They later interpreted that as “no volumetric” change, meaning either the lid dropped down and magma moved up the edges, or the lid went up and the magma at the edges went down to fill the space. I’m guessing the former is what actually happened. In other words, it is very likely that the quake was related to magma movement. I have one scientific question to Carl, or to anyone with knowledge to reply. If we see (hopefully not!) an exchange of some nukes, how far would be the impact in the climate? Apparently there are some (very) old studies on the matter, but the conclusions are now disputed. Interesting, following the Tsar test, in 1961, there was the coldest winter of the 20th century. Even if the test was atmospheric, I always wondered if there was a connection. It´s a striking coincidence and the scale of the test was extraordinary. No idea how it would affect the climate, however we’ll have to remember that more than 2000 nuclear explosions have taken place already, so some data has to be around. I’d say that if NK and US lob one nuke afterr each other, the worst climate effects will be depending on where the NK bomb hits. Say LA, Seoul or whatever big city will be laid to waste. These massive modern cities will have all sorts of nasty stuff leaking into the athmosphere and surrounding environment. Also, “‘Quite odd’: coral and fish thrive on Bikini Atoll 70 years after nuclear tests. It all depends on the scale of the idiocy employed. If there are just a few nukes nothing will happen with the climate. But, with a full deployment there will be changes to the climate, but that will be our least concern. Other things will kill us prior to the climate. Nukes are just a very very bad idea to use. There was quite a bit of chinese news reports on after the test when I wrote the piece a couple of weeks ago. Thanks. Yeah, I wonder if it is just a bit of scaremongering. In the article I’ve linked below it says 921 out of the 1,021 nuclear tests conducted at the Nevada test site were conducted underground. I assume these weren’t all at the exact same location but nevertheless that’s a significantly higher volume than NK’s tests but would assume if there were to be a cavity failure anywhere it would happen there. There are tremendous differences between the NTS and the North Korean facility. The Americans used one “site” per detonation, while the North Koreans has used the same poor mountain for all of them. So no, this is not scaremongering from the Chinese, it is a very real possibility. Yes, it’s Yellowstone … but more so about recharge rates before eruptions and how they may be faster than we thought. It doesn’t really speak to the scale of eruption studied but if it is one of the big ones that might be a lot of volume over a short period of time. Pevolca have confirmed there is a small magma intrusion La Palma. ‘El Comité Científico del Pevolca apunta a una pequeña intrusión magmática a gran profundidad en La Palma. ”The Scientific Committee of the pevolca points to a small, deep-depth intrusion into the palm. Thanks Janet, Interesting to follow this. I have cancelled our Palma treking tour this november. Will be Madeira instead. Also volcanic but not so recently.. The summer of 1962 was already cold, at least in the UK, beginning from March 1962. That does seem rather long after the bomb, given that the life time of particles in the stratosphere is limited. Stratospheric opacity has little effect on winter surface temperatures at higher latitudes. The disruption of the polar vortex did not happen until early 1963, didn’t it? Thanks for providing that. I’d noticed a report about drone usage in Balinese language in a TV report but could not find much more about it. It’s safer than the French approach! I’m also pleased they have the Mata Agung initiative. It’s been really frustrating getting proper consistent and quality news beyond the MAGMA pages. Problem here being, “wattsupwiththat” is a climate denier kooksite, so nothing they post can be regarded as the least bit credible. It’ll be either fake news, or spun for political reasons. Obviously you never read there. Usually, there is a lively exchange of ideas with supporting documentation either way. If someone is firm in their ideas and can back them up, then the site should not scare them at all. Note: ad hominem just signals weakness. A Tambora every two weeks. MIght have been better to compare it to Toba. but let’s take their number. That makes it 25 Tambora’s per year. At the moment we have one Tambora every 300 years. So their flood basalt comes to 7500 Tamboras., and at the moment it would take 2 million years to erupt as much at the current rates. The claim is that the eruption of the flood basalts took half a million year or less. So this comes to an eruption rate ten times higher than we have at the moment, over that amount of time. That is not out of range for flood basalts, so it sounds like a ‘normal’ flood basalt event. And this is why I cross linked the article. A more thoughtful sane opinion than commenters on actual true loon sites would have to offer. Personally, I could not come up with this because I was too busy laughing my arse off. While doing so, my dogs became confused and thought they were in trouble. The other reason? TGMCoy has that region as a stompin’ ground and sees that terrain on a regular basis. A side comment. The TiO2-FeO ratios can, under the right settings, indicate the mass ratio of Sulfur from the original magma. Different eruptive settings have different ratio indications. I had possession of a paper looking at icelandic magmas, but don’t know where in my collection of “stuff” it is at. I do remember that “Oxygen Fugacity” played a strong role in what the indicated yields were. In a nutshell, that is a phenomena having to do with the reactivity of oxygen at differing vapor pressure levels. I do remember that it got complicated really fast and I dozed off. Now I wonder if it is possible to deliberatly set off volcanoes? It would solve the unpredictability of large eruptions and the agony of evacuating entire cities for months for a eruption that never comes. I answered it above on a question from Albert. Using nukes is always a bad idea and a last ditch thing, whatever you use them for. Yes, you could set off a near brink volcano, but would the effects of doing so with a nuke be worse? Yes, almost certainly unless if it is a far away volcano gunning for a VEI-8 eruption. With a bomb? The only way I can think of that might work, on a volcano not about to go off shortly anyway, would be if the detonation removed much of the overburden — say, causing a major flank failure on the edifice. The shock wave hitting the magma chamber followed by the removal of a chunk of the overburden pressure could then be like shaking a Coke and opening the top. Foom. Some further reading, looks at historical examples where testing hasn’t caused an eruption. And this is a new one: a tropical hurricane making landfall in Ireland on Monday. NOAA kindly warns that “Residents in Ireland and the United Kingdom should monitor the progress of Ophelia.” Has global warming finally gone too far? Or just the one-in-a-million one-off? It does take a funny track to get to this point, via the Azores rather than Florida. But it seems unfair to have to deal with both polar and tropical storms in the same place. Yeah, been watching that one too and surprised by the fact that it hasn’t caused an uproar in the UK media yet nor even a met office yellow alert! Ignoring the alarmist headlines, we do have a MET Office yellow warning for Western coasts, it came out this afternoon. I’m not expecting much in N. Devon where I am as it’s sheltered from the Southerly winds, but there should be a decent swell heading in. Just wait until the Daily Fail wakes up to it. And they read this site…….. I do remember something similar, perhaps 10 years back? I was keeping track of a hurricane that seemed to steer a northerly course, only dissipating some couple of hundred miles off Portugal. Hurricane Vince, I believe it was…. I think it was the year they ran out of letters in the alphabet. The genteel folk of Eastbourne could have had a rude awakening ! Being Portuguese, I experienced already a few tropical storms (or actually already in post-tropical stage) hitting the coast of north Portugal in the past 40 years (all just had that odd constant strong warm wind and heavy rain), and one hurricane back around 1990 (can´t remember the year) which did some damage. Hurricane Vince was odd because it hit the southwest coast of Spain, and even more odd it formed just southwest of Portugal. The Azores are affected by hurricanes more frequently, about every few years. Remains of these, can affect the UK and Iceland, but nearly always already out of tropical storm stage. Certainly it will have undergone transition to an extra tropical system. But they still carry the heavy load of water. I well remember the ” hurricane” that hit southern Britain in the 1980s. That was pretty intense, and made a real mess. Wondering if anybody would notice if I were to close my shop for a couple of days and head to the Gower Peninsula….. with board ! The US puts the hurricane/tropical storm on a course crossing most of Ireland and Scotland, blaming the UKMet as source, while the BBC puts it at Galway. Both are plausible tracks. It is not a large storm so the track is quite important. Neil, for your suicidal surf (closing your shop!) you could consider the Skellig Islands. It would be a unique end-of-the-world experience. A brief one, I am sure, but still. Something to talk about for the rest of your life. I didn’t post in haste ! I’m aware of the hurricane tracking issues, and the possible margins for error…. And I chose that peninsula because I know it very well. I could find protection if the need arose. I could also find sheltered spots (as surfers do) where I could surf protected from the worst ravages of both wind and swell. In fact some spots will only produce a decent wave in just such conditions. Actually travelling in a major storm is , of course , a judgement call, and I have no desire to go out in a blaze of stupidity ! Yes, the winter storms are impressive. Tropical storms are rather different, though, and rather rare here. It could bring much more rain than a polar storm would. Mount hood is showing some groggy grumbling. This is not Agung, sorry. 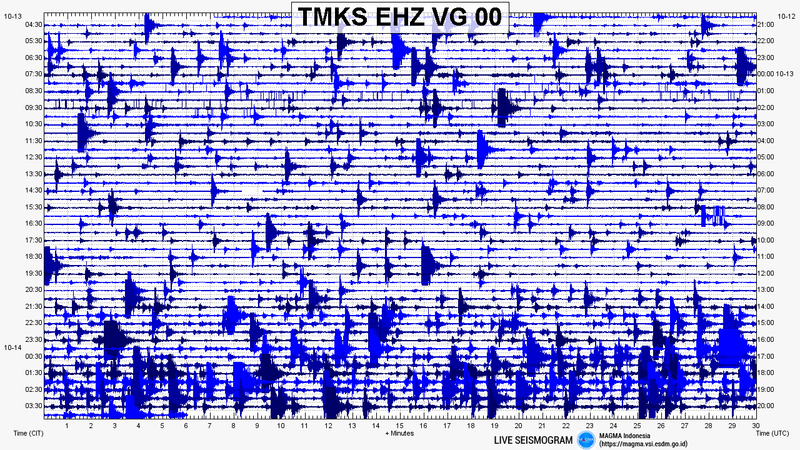 It’s 4,8M `100km south of Bali, but cleary seen on Agung seismogram. According to the most recent histogram, it seems that a small bit of tremor has started to appear. (notice the red notch at the very top of the most recent column which represents tremor). According to this, it says it is a “non harmonic” tremor earthquake. I’m not really sure what that entails personally, but maybe one of our resident geophysicists could shed better light on this 🙂 . A wild guess: could it be that non-harmonic tremor refers to low frequency events like tornillos and long period quakes? It is still quantified in number of events, so it’s probably something relatively short lived. Otherwise, if it were continuous tremor, how would you count the number? If I am correct it was a landslide. Interesting, maybe that blockage is finally giving way and allow magma to flow. Ah, didn’t see your other post regarding it not being harmonic… Over to the others on that one! Which would imply magma is on the rise. I expect you to die.. I can’t get to the current Agung seismograph from Magma – the page seems to be out. Are any of you accessing it elsewhere, please? And while we are on the subject, a martini please, shaken not stirred, from the long closed Volcano Cafe Bar. I am noticing that not many people are actually reading the links in the end of the articles. When I put them in they always lead to the pertinent article in question. This time it leads somewhere else completely. Second time in my life I just missed Sakharov.. It would be unkind to point out minor errors, sometimes you just let it pass during a busy day. 10:40am UK time. I’ve just been poking around Gunung Agung news. It seems the drone project is struggling with crashes and control issues, but they are determined to get it going. A report from Bali Tribune a couple of hours ago, Devy Kamil Syahbana, PVMBG, says quakes and tremor are still increasing with what they (Google Translate) call “spasmodic tremor” – and no sign of reduction in pressure build-up. Volcanic earthquake Thursday = 907. No harmonics. Seismograph shows quite a big rattle at 00:30 in the Bali night. Looking at the seismogram it seems Agung gets a little by little more noise signals in the background. A bit difficult to see with the colours but it seems a trend. New strong noise at Agung drum. Local or signal from quake around the region? To me, All of these are at Agung now. And some candidates for “spasmodic tremor”. Ice quakes are never listed by IMO, so this is something tectonic on the southern part of the ring fault. It’s nothing outside the ordinary for Bárðarbunga. Notable uptick in quake activity recently, along with a pretty big one. We posted at the same minute…and made the same “uptick” comment. Synergy at it’s finest! LoL! I just linked to the original, so it should update as people view the page / graphic unlike a tinypic capture. Note that this looks a lot more “wet” as Carl often phrases it than previous times, even when activity was on an uptick. Carl or someone else who knows seismicity far better than myself could probably interpret this a little bit better. I would be careful to link directly. VC generates a lot of traffic and we don’t want to break the Indonesian servers. Interesting with the uptick though. Eh, this isn’t Iceland’s really bad servers. I think they’ll be okay. A decided uptick in activity at Agung at the moment. Seems both amplitude and frequency are increasing. Still not a lot (but not zero) of tremor/magma movement being detected? If you’re ever going to spend time looking at a webcam of Agung, now is a great time. It’s a beautiful clear morning over there, and the mountain looks spectacular. I just looked in on the Asah cam and it looks great. I see Agung has also had a busy seismic night. Thanks for the tipoff! Ta! I unusually posted using Chrome – a browser that seems hostile to my every action. How do I post a picture on this board, please? Upload it to an image host (tinypic, et al) and paste the resulting URL into your comment. But where is the steam cloud above the crater, after such “wet” night? Seeded of course! Collected, bottled and shipped to America, C.O. Gwyneth Paltrow. The swarm has started again last night La Palma mostly around the depth of the magma intrusion before and all around the Cumbre Viaje region South of the Island. Courtesy of Avcan the graph of cumulative energy since 7th October . The link is not posting ? GL Edit: When WP tries to retrieve the image to place in the page, it gets a “Bad URL date param” error from the server hosting the image. New image of Bogoslof. It has quieted down but perhaps not yet ended the eruption. The island is much larger than before. Temporary, probably: wave erosion will reduce it again. After a loud and shaky day, Agung seems to be taking a rest….. Or does this mean that most of the rock-cracking work has been done? I know they sometimes have quiet phases, and I was wondering if it is “just one of those things”, or if there’s something else going on? You would need more data to known what is signifies. It has entered a more stable configuration, but this can be because gas managed to escape, a rock cracked and lessened stress, the magma flowed into another opening, a shift in the rock reduced its stress, liquid lubricated a fault and reduced the coefficient of friction – more options could be added, I am sure! There are some very different looking seismic patterns between 22:00 and 22:30, and around 14:15. Are these significant? Tornillos! As some of you know, not only can I mis-spell the word but I can mis-identify them too! However, in this case I think we have some good tornillos showing. I think they could be significant, Valle Grande. Perhaps the reduction in short, brittle fractures is due to some of the magma content being able to flow? I am always happy to be corrected by the experts. And looking at the seismogram now, it gives me the impression that brittle fracture has been replaced by flow, for the time being. To a certain extent. Obviously it can change again. Ophelia has become the most easterly major hurricane in the Atlantic Ocean. Landfall in Ireland on Monday, not as a major hurricane but lots of disruption and damage can be expected. Ophelia has cranked herself up to Category 3 this evening, which is a surprise. I feel sorry for Southern Ireland taking the brunt of it. But I also read a note in Netweather regarding an issue we might be forgetting, and that’s storm surge. Ophelia’s already piling up some big sea in advance. Cork city Monday high tide times are 03:30 and 16:05 so it could be down to luck, and timing for Ireland. Any bend in the track to the east might increase the threat to the Irish Sea which is quite a bottle-neck and has the Severn Estuary plus some low-lying coasts. Hah – it struck me just now, after reading GeoLurking’s recent hurricane posts, it feels really weird discussing UK possibilities; even though Ophelia will have lost a lot of steam and eased off by the time she gets here. What an odd turnabout of events! I remember the Great Storm of ’87 in UK. So I really hope everyone in Ireland and Wales and Cornwall also take this incoming storm seriously! Too many people died in ’87, many in West Sussex where I lived, because they didn’t have any warning that hurricane force winds were incoming. This time the warnings are there! I beg anyone in the at risk area to heed the warnings and stay in when the winds get severe. Just because it will no longer be a hurricane doesn’t mean you can’t die. The winds could STILL be gusting to hurricane force as they were in ’87. Weird this storm is incoming 30 years to the day since that devastating night! I remember it well. I was at work in Swindon (monday to friday weekly commute), and the pub opposite my office had a fire – smoke and flames pouring out the windows. My B&B was a pub in Wootton Bassett, and my room was on the third floor. At around 3:00 am the fire alarms went off and my first thought was “What a coincidence – two pubs burning down in a 24 hour period”. My second thought was “Hey, I’m in this one”. I groped my way downstairs and met the landlord – apparently the power had failed and that tripped the alarm. We sat there by candle-light while the storm screamed outside, and drank half a bottle of whisky to pass the time. It’s thirty years to the day to the Great Storm.I was living in Aldershot, studying animation at West Surrey College of Art and Design and working on my final year film. I’d restrained myself from going to see a secret gig of my favourite band in London in order to be diligent and work. I remember sitting at my lightbox, around 8pm, wishing I was at the gig, then looking out the window and thinking how weird and calm everything was.. incredibly still and warm. Sat down, got back to work, and at 10pm looked up and thought, woah, where did that wind come from…Our shared Victorian house had a chimney and loose old sash windows. A strong wind would set off a occasional nice, breathy ‘woo’ down the chimney and a little rattle from the windows in a big gust. Went to bed early (I guess I had something important at college the next day) and slept like logs.. until woken by something that sounded like a vaccuum cleaner roaring in the room. And a noise like a soil compactor whacking away… I got up, zombied over to the window and stuffed something in the frame and, to my eternal disappointment, went back to sleep. Woke up to mayhem. Power cuts, garden fence flat, half the trees in the park flat, no phones, no trains, college closed for the day, etc etc. And I slept through it. Strongly agree. For our last storm, my wife was glued to the TV which was blasting out the latest OMG! story. I drank myself to sleep. On the other hand, every time she switched to the two weather dudes over in Mobile, they seemed reasoned and pragmatic about what was going on. They were impressive. Cobv has a lot of terrain to act as breakwaters. Surge might be an issue, but I don’t think the waves will be much trouble. Have already discussed the Severn Estuary/Bristol channel situation with the (Severn) bore riders.Unless the surge is exceptionally big, it shouldn’t be a problem. Due to the tidal regime there being prone to real extremes, much of that shoreline is pretty much armoured against large, powerful surges. And at the moment the tides are just not that big. If we had been having this conversation 8 or 9 days ago, the situation would have been very much more serious.The surf forecasting websites are currently looking at a swell of 6-7 metres around Porthcawl, most of which will not come into the Bristol Channel. By the time the surge reaches places like Sharpness it might be an additional metre on top of the tide, which will still give a total surge of under 10 metres. The estuary should be able to handle that.As with what Clive said about Cork, a change in the track could make for a very significant change in what happens here too. A shift to the East could be serious. What worries me is how much rain the system brings in. It´s does not come as a surprise for me. In terms of hurricane history, there is something fundamentally weird off the coast of Portugal, towards the southwest, because hurricanes here seem to strengthen instead of rapidly declining. Sea temperatures have now an anomaly of +3°C, which is a lot yes, but still the ocean temperature is around 23°C, which should not be conductive to initiate hurricane development, least making them reach cat 3 status! Hurricane Vince in 2005 formed in similar conditions, in the southwest of Portugal and reached hurricane status. The ocean was barely 23°C by then. Ophelia did the same and increased even to cat 3. Which is impressive. We MUST modify the rule that hurricanes only strengthen when ocean temperatures are at or above 26°C. This does not apply to the region southwest of Portugal, as demonstrated in these two hurricanes. Ophelia could be a serious problem for coastal communities in Ireland. Mark my words, as time goes on, the TV weather people will become more and more shrill. “Protecting people” is the excuse, getting more eyeballs is the truth. If they stick some dimwit reporter out on the beach wailing about how it’s dangerous to be out there, then you will have finally reached the level of stupidity of US media. Finding the same here. Maybe it’s because the tabloid media so often screams “Storm of the century!”, but to my mind, people are just not taking it anything LIKE seriously enough. As I have said to friends on social media, if the tabloids are saying, well yeh…whatever ! But when NOAA is saying “Brace for impact” ? That’s exactly what you should do. Keep an eye on their TABC model. This season that thing was all over the place. In reality. it was quite funny. My favorite was the one where the reporter is in a canoe reporting on flooding, and some guy goes strolling by behind her in the ankle deep water. sometimes (like now) i wish this site had a “LIKE” button. Ya want the suspicious bit? His booking picture was not on the county jail site the last time I looked for it. Somehow it disappeared. Doesn’t matter, I found the original news article. They have since put him back on the Anchor desk where he can return to sneering at the news stories. for anyone interested in Ophelia, this is a good site to watch her. She is just reaching the Azores. Pushing a pretty sizable lump of water also.,.. It is a very compact hurricane as of the moment. The outer bands have barely tropical storm winds and little else than normal rainfall, despite being classified as a cat 3 hurricane. So are the reports from the Azores. But it has intensified today and it will rapidly move towards Ireland (after brushing along the Portuguese coast). Predictably, it will expand the wind field and if the eye lands in a populated part of Ireland, it may cause serious damage. Cornwall and, to a less degree, North Ireland and Scotland will be affected too. Looks like it is getting entrained with that frontal boundary. That means it will be of two characters, transitioning from Warm core low to Cold core low. With two competing heat flow regimes, it’s gonna be hard to predict the strength. The UK Met model has that transition looking like this. Remember, 925 mb winds are NOT surface level winds. Their analysis is for up in the storm itself to estimate it’s health and how it’s working. You can work out the reduction factor to make a guess of the surface winds from this. The source and some discussion of that is here. I was just pouring myself a stiffening drink when it hit me. All the previous ex-hurricanes reached the UK as part of the usual low-pressure system conveyor belt crossing over from USA and thereabouts. I remember seeing one arrive in the late 1980s as a gigantic mass of cloud structures that was quite different from our usual weather systems. Here we have something quite weird. A small and intense proper Cat 3 hurricane is in our part of the world and is due to make landfall in Ireland in just 24 hours. OK, it will have it’s full power vacuumed out of it by then, but I cannot recall a time when “hurricane remnants” meant an active, powerful Atlantic hurricane a mere 24 hours away from making landfall in Ireland. Now this is interesting. And I also cross my fingers for our Irish pals – keep your heads down. Well, hurricanes are not that far off of a topic from volcanoes. Both involve the movement of stuff via air. Moisture for Hurricanes, Tephra for Volcanoes. …and, both involve huge amounts of energy. Plus both are generally overhyped by the press. I am not sure about Southern Ireland but here on South Coast of England the trees still have loads of leaves on them so if Ireland is the same I would expect very many trees to be down. On the plus side they are more used to Atlantic storms there so most trees will be fairly compact I would have thought. Please DO STAY AWAY from any large trees wherever you are in the danger area. This storm looks to be coming in during daylight hours so will be much more deadly than the 1987 storm that did so much damage to Southern England. Here we were saved more than the 20 or so deaths just because most people were safe in their houses. Hurricane Gordon in 2006 did something similar to Ophelia, going for Ireland from the south. It started earlier, further west, but I think was a hurricane at the Azores, went north, and dissipated just before reaching west Ireland. The source of the winds was the same: colder than usual upper air, which increased the temperature gradient to the region of instability. It was never as strong in these areas as Ophelia, though: Ophelia also benefits from much warmer sea water than usual, so that increases the temperature gradient even more. Further back, there is Debbie in 1961. Less is known as satellite monitoring wasn’t invented and the hurricane came out of the blue. I think the track is not unlike that of Ophelia but parts of the track are conjecture. Like Ophelia, it became category 3 but did so further south and had already weakened when it hit the Azores. The track mirrored that of Ophelia, up the west coast of Ireland, having grown stronger again (probably as it became extra-tropical, although some classify it as a tropical storm when it hit Ireland). It hit a month before the Tsar explosion in Russia, so at least that can’t be blamed for it. Ophelia is rapidly losing its hurricane status, the eye is fragmenting very fast. Might be one of the fastest decays of a cat3 hurricane we ever seen. Might be either the fact that hits very dry air in Portugal coast (high pressure placed over Europe and strong SE winds there), or/and the influx of cold polar air over its western flank. Lurk, do you know which factor is key here? Dry air. Nothing gut punches a tropical system faster than that. Keep in mind that it is transforming to a different energy flow pattern at the same time, so it’s intensity will be covered more by horizontal differences in air masses than by vertical lifting of warm moist air parcels. Will be interesting to see how it interacts with the jet stream. This could either augment it or kill it depending on whether it goes north or south of the jet stream. What fun, just so long as it keeps away from southern england! The emergency services in Ireland and part of UK will be breathing a sigh of relief if it rapidly loses strength that is for sure. How quickly can it lose strength is the question I suppose? And please don’t move further east. One severe storm in my lifetime is enough thanks very much. 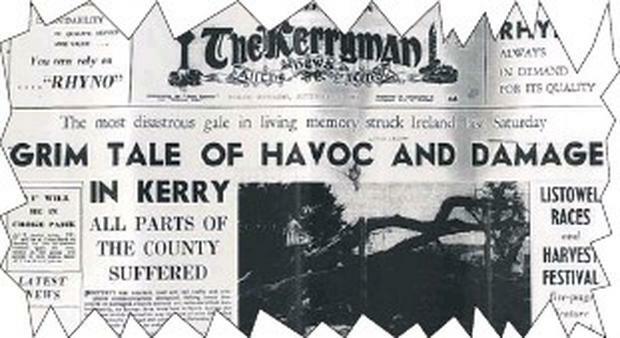 It was a shock the next morning to walk to town, (still severe gale force), and to see the contents of peoples attics exposed to view, roofs ripped off and being unable to walk through the local park because it was blocked by fallen trees that were laying across each other like matchsticks. 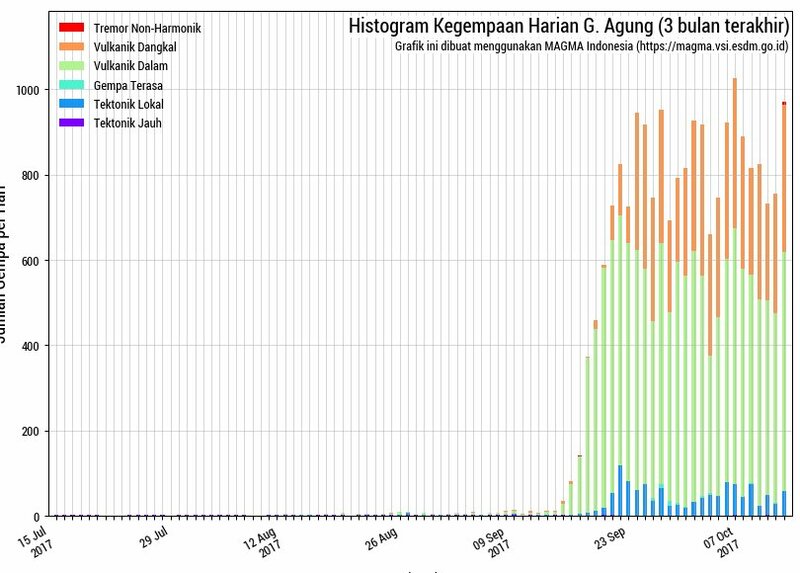 Returning to Volcanic matters, Mount Agung is still looking lively according the the seismagram. Massive increase yesterday, about 1,100 quakes, surely it can’t be much longer now! For the sake of all those people evacuated, 3 weeks now, I really hope it blows soon as then the sooner they can go back to whatever they have left. So far as I can see the brief appearance of tornillos has ceased. It looks like it is blocked again and (I guess) we might see another period of brittle fractures for a few hours. Always happy for experts to turn me into a (fashionable) lava lamp if I am wrong. Meanwhile our favourite hurricane looks as if it has finally lost the eye. Latest satellite on Netweather at 2:45pm UK time shows it has all but disappeared. It is still going to be a nasty storm, however. New post is up! And a tall mountain deserves a long post. Like the volcano it describes, it rather grew out of control. But I hope you enjoy the read. But was the VEI 6 eruption of Mt. Pinatubo in 1991 indeed triggered by a massive earthquake? I think that massive earthquakes are able to open magma pathways.